Richard Phillips is an American artist known for his large-scale glossy hyper-realistic paintings, recalling the pictorial style of magazines from the 1950s, 1960s and 1970s and reflecting traditions of popular image culture. Perhaps more so than any other contemporary painter of his kind, Phillips’ imagery has achieved a level of pop recognition outside of the art world with fashion, media and film collaborations. He has contributed to the television show “Gossip Girl,” MAC Cosmetics, The Art Production Fund, and Visionaire. He recently appeared as a guest judge on Bravo’s new TV series “Work of Art: The Next Great Artist”. Recently Phillips has begun to explore filmmaking and photography as a means of moving beyond found imagery in his paintings. His images have appeared in Elle magazine and Lotus magazine, and will be featured in upcoming issues of Vogue China and Visionaire. He completed his first film entitled Lindsay Lohan in 2011. Phillips considers the film a “motion portrait” of the actress that “at once reveals an emotional awareness of her recent past and, in the most positive terms, expressed the limitless creative potential of her art joined with her unparalleled beauty.” The film premiered at the 2011 Venice Biennale in tandem with his second film, Sasha Grey. His third film premiered at Art Basel’s Art Unlimited exhibition in Basel, Switzerland in June 2012. All three films were shown in for the first time in the United States in tandem with a group of corresponding paintings at Gagosian Gallery in New York in September of 2012. 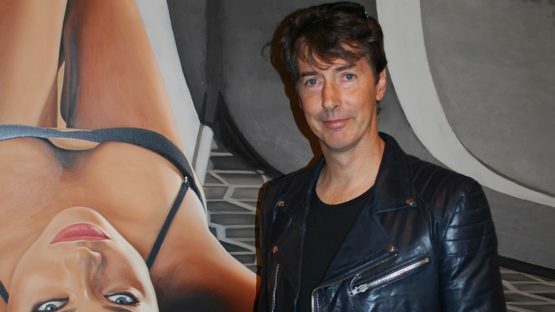 Richard Phillips lives and works in New York.